There is only one word to describe Vittoria’s Homemade Chocolate Hazelnut Filled Crescent Cookies: mouthwatering! Of course, there are other adjectives that would be appropriate: delicious, amazing, addictive, tasty… I think you get what I am trying to convey to you. They are ridiculously good and truly a special treat to have! In my book, these are special occasion cookies. We all know that special occasions require special cookies, right? 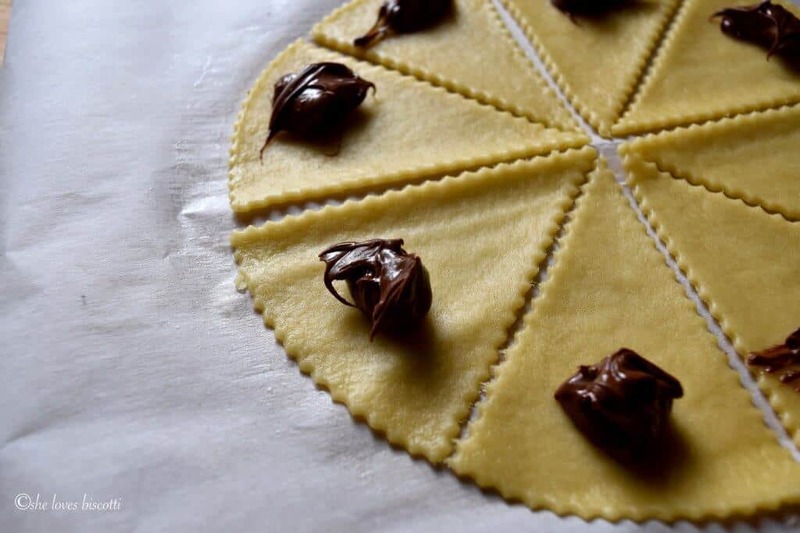 So with today being World Nutella Day and with Valentine’s Day right around the corner… I thought the timing would be perfect to share this recipe for these Homemade Chocolate Hazelnut Filled Crescent Cookies. 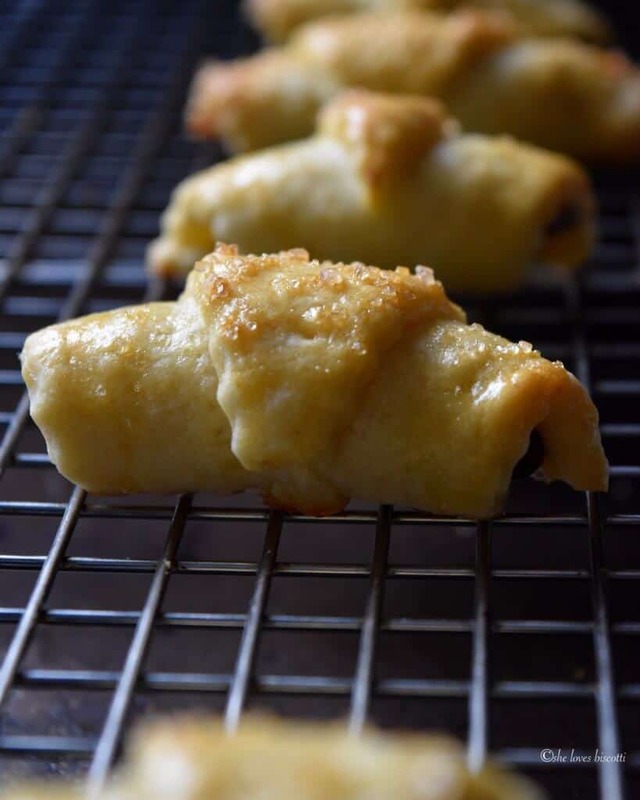 These are equally delicious filled with any combination of nuts, such as walnuts , dried fruit, poppyseed filling or one of my favorites, dates! 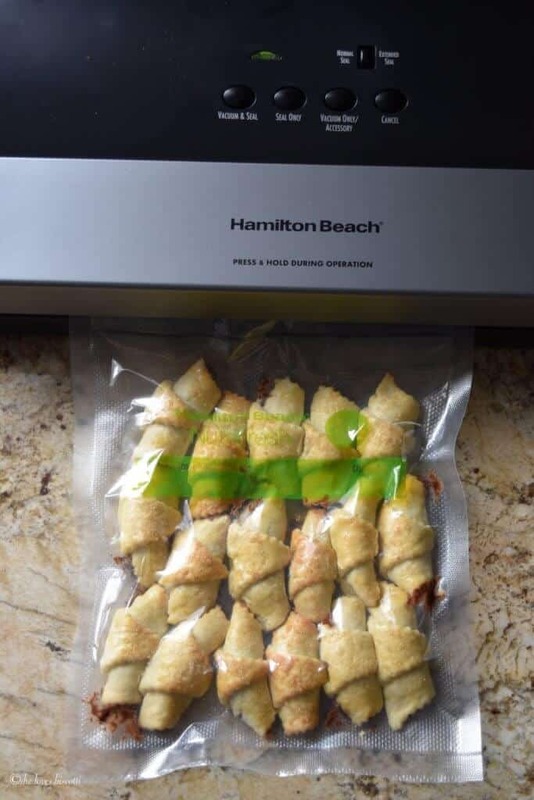 I also wanted to test out my Hamilton Beach NutriFresh™ vacuum sealer. I received it a couple of weeks ago and it has been great to vacuum seal veggies and sauces, but I wanted to test it out on a more delicate food, like these cookies. I was amazed at the results. Can’t wait to share my thoughts with all of you! But first, these cookies. The first thing that you might notice is that it does take a little bit of time to make these little gems. Hopefully, this will not discourage you… I assure you that once you taste them, you will agree that they will definitely be worth your while to make. Day 1: Make the homemade chocolate hazelnut filling. If you recall, I shared my recipe for Easy Homemade Cocoa Hazelnut Butter with all of you a couple a weeks ago. Here are the modifications I made to that recipe: I melted and added some dark chocolate and replaced the honey with icing sugar as we needed a slightly different consistency and taste than the nut butter. If you are short on time, you can always use store bought Nutella®. Day 2: Make the dough. 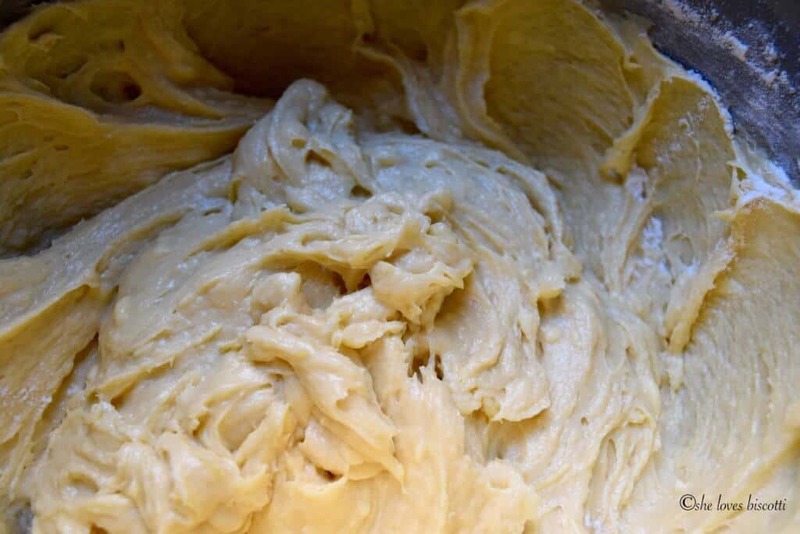 Once the dough is made, it needs to rest for at least 12 hours. So, I will usually make my dough in the evening. It takes about 30 minutes, from start to finish to make the dough and this includes clean-up time. The whole process begins by combining yeast with sugar and warm milk. While the yeast is doing its thing, begin whisking the eggs in an electric stand mixture. Gradually add the sugar, butter, shortening, salt and vanilla. By this time, the yeast mixture is ready to join the club. At this stage, I incorporate about 2 cups of the flour. I switch over to the dough hook and add the rest of the flour. I will let the stand mixer knead the dough for about 5-8 minutes or until the dough pulls away from the sides of the bowl. I will then divide the dough into 18 balls. Each ball should weigh about 90 grams. Cover with plastic wrap or place in an airtight container and refrigerate for at least 12 hours or up to 24. Day 2: Make the cookies. 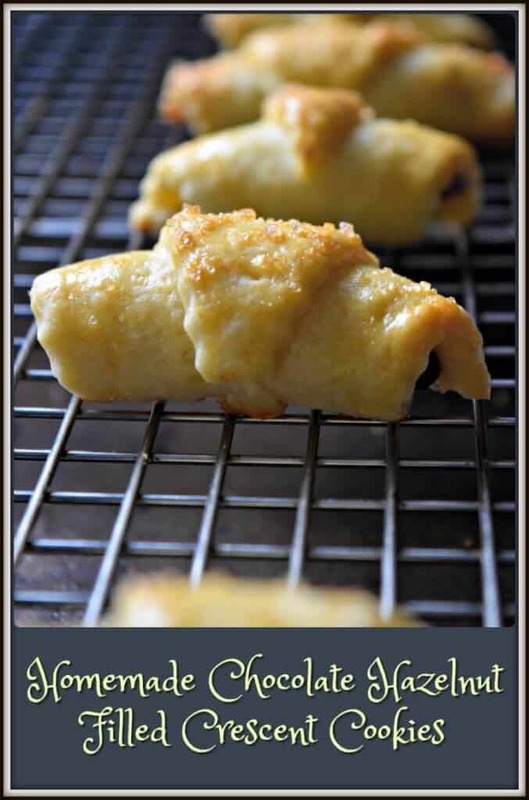 We are now ready to make these Homemade Chocolate Hazelnut Filled Crescent Cookies. We are almost there! Working with one ball of dough at a time, roll out the dough to an 8 inch round, about 1/8 of an inch thick. I will usually do this between two pieces of parchment paper. I will then divide the dough into eighths. I will place about 3/4 of a teaspoon of homemade chocolate hazelnut filling at the wide ends and begin to roll each section into a crescent shape. 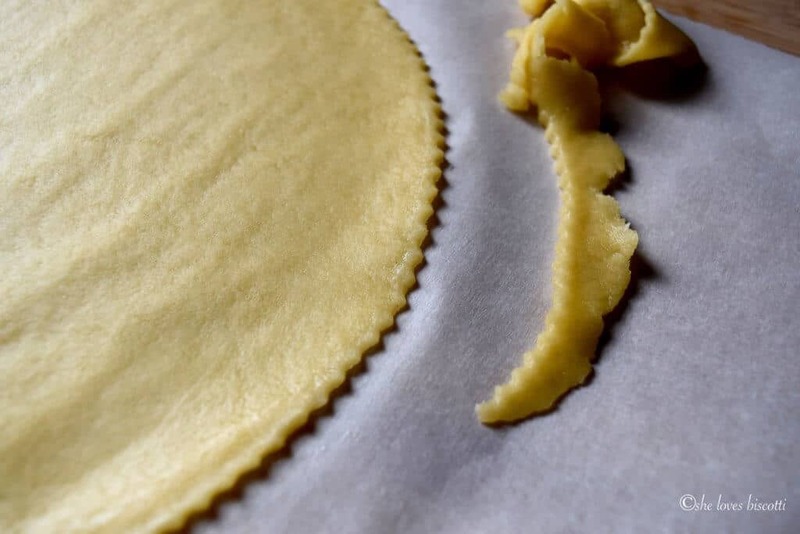 Place the crescents on a parchment lined baking sheet with the point side down. Brush with the egg wash and sprinkle with coarse sugar. The only thing left to do is to bake the cookies for about 10-12 minutes in 350℉ preheated oven. Remove from oven and place on racks to cool completely before storing. This recipe will make 144 cookies. That’s right… 12 dozen cookies. Yes, that is a lot of cookies. The cookies will keep for a couple of days in an airtight container. But as I mentioned earlier, I wanted to test out my Hamilton Beach NutriFresh™ vacuum sealer. I have to say, it was very intuitive and easy to use. I was also pleasantly surprised to see how light and compact this unit is. There are some plastic bags that are included in the box to get you started. There are also some plastic rolls, which is great, because you can custom cut the size of bag you need. As with most vacuum sealers, the goal is to vacuum pack your product. As you can see, there are different options to choose from: vacuum and seal, seal only, vacuum only, and cancel. Today, I wanted to test the vacuum sealer with a delicate product like cookies. Once I placed my cookies in the appropriate bag, I placed the opening of the bag in the chamber and pressed the vacuum and seal button. Now, this is an automatic operation, but you can stop this process at any time by pushing the cancel button. As you can see, my cookies are perfectly sealed. 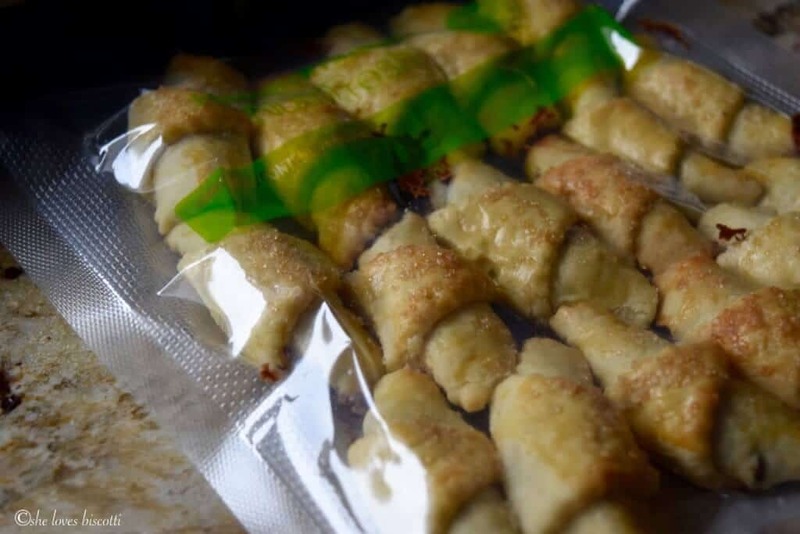 I am definitely in love with my new vacuum sealer… it offers the versatility of vacuum packing any food – fresh produce, sauces and my most delicate cookies. My cookies can now be labelled and frozen. It truly is so convenient to plan for special occasions with this little appliance. About seven years ago, I had the privilege of meeting a wonderful person. Vittoria was not only an extremely genuine person but she was also a fantastic cook and baker. A natural really. Vittoria shared so many of her recipes with me, including this recipe for Crema di Limoncello. Vittoria is no longer with us, but today, I wanted to honor the memory of my friend. I decided to make Vittoria’s recipe for these wonderful Homemade Chocolate Hazelnut Filled Crescent Cookies. I did, however, make a few changes. Instead of using Nutella® as the filling, I made a homemade version of this spread. Healthier than Nutella® and just as tasty. The original recipe also called for margarine as the fat source. I switched it to equal amounts of butter and vegetable shortening. This resulted in a tender cookie with the buttery flavor. 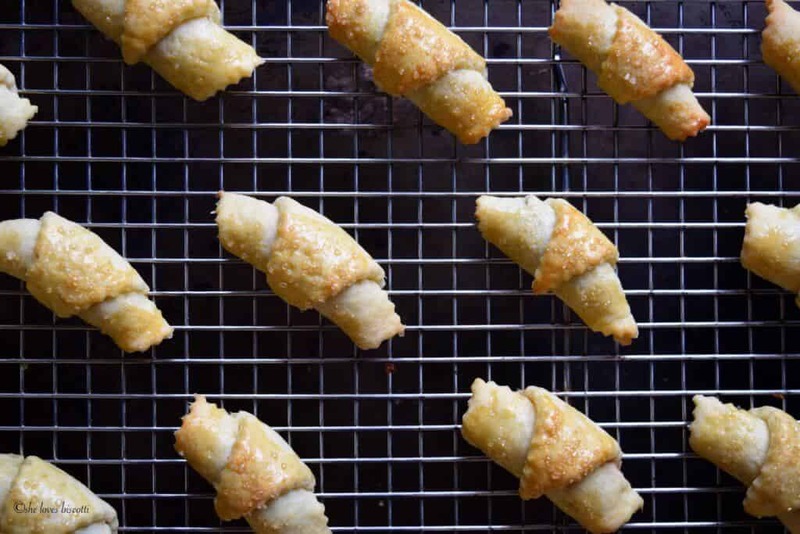 These Homemade Chocolate Hazelnut Filled Crescent Cookies are a guaranteed crowd-pleaser. Enjoy! There is only one word to describe this recipe for these Homemade Chocolate Hazelnut Filled Crescent Cookies: mouthwatering! 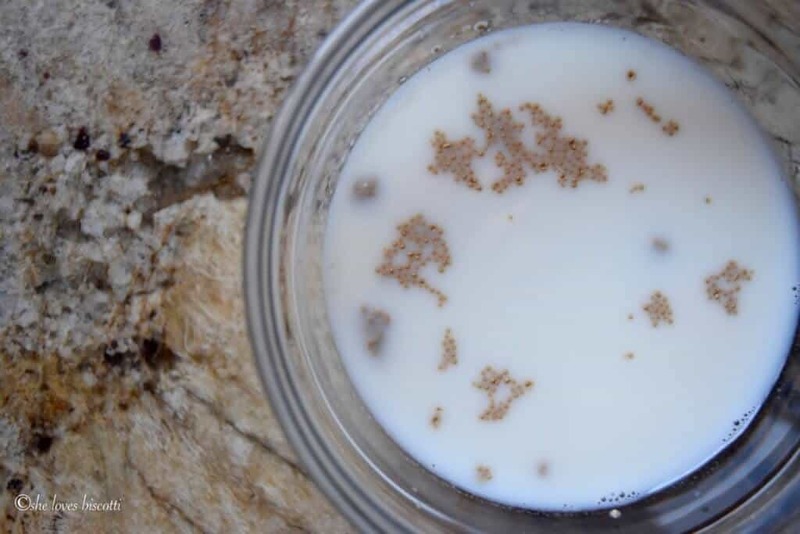 In a small dish, combine the yeast with 1 teaspoon of sugar. Add the warm milk and stir. Set aside for about 5 minutes. Meanwhile, in a large mixing bowl (of electric stand mixer) whisk the eggs, at medium speed for about 2 minutes. Add the sugar and continue to whisk for another 2 minutes or so. Switch to paddle attachment; add the butter, shortening, salt and vanilla extract. Add the yeast mixture and mix until well combined. Add 2 cups of flour and combine. Gradually add the 4 cups of flour and knead for about 5-8 minutes or until the dough pulls away from the sides of the bowl of the stand mixture. Dough will be soft. 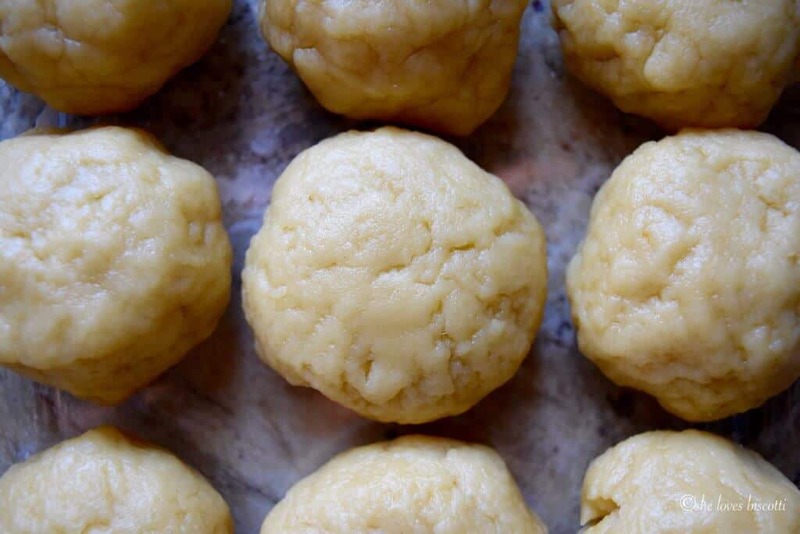 Divide dough into 18 balls of dough (each weighing about 90 grams). 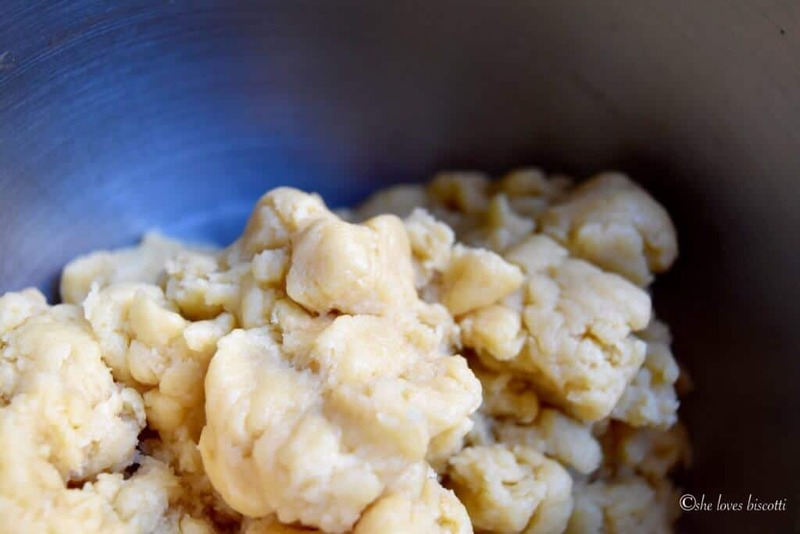 Place the dough balls in an airtight container, and refrigerate overnight (or up to 24 hours). 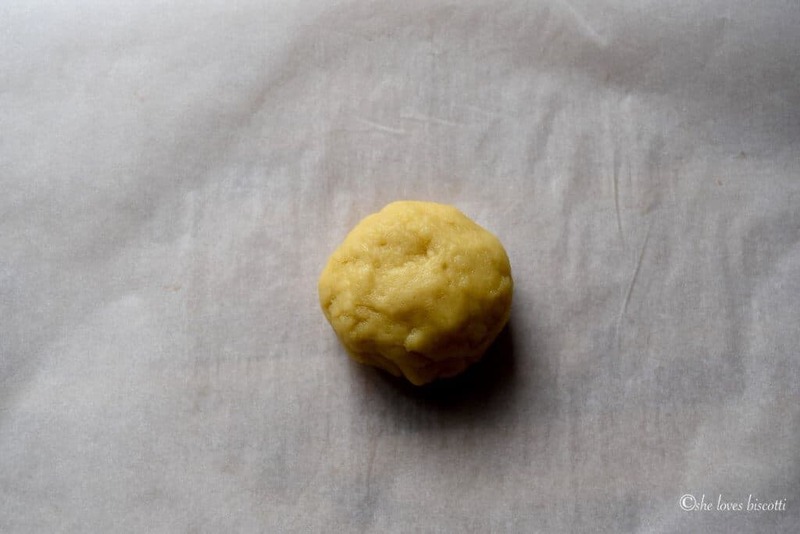 Working with one ball of dough at a time, roll out the dough to an 8 inch round, about 1/8 of an inch thick (I will usually do this between two pieces of parchment paper). 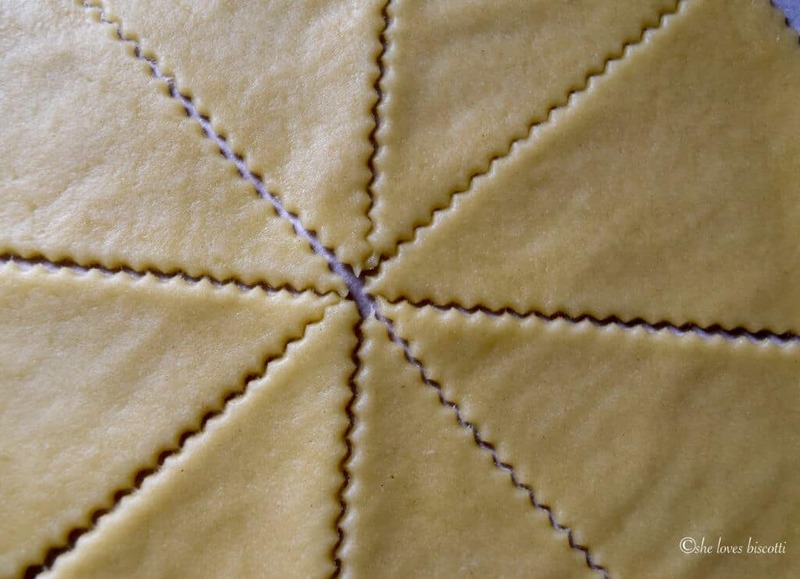 With a pastry cutter, cut dough into eights (first cut dough in half, then in quarters and then in eighths). 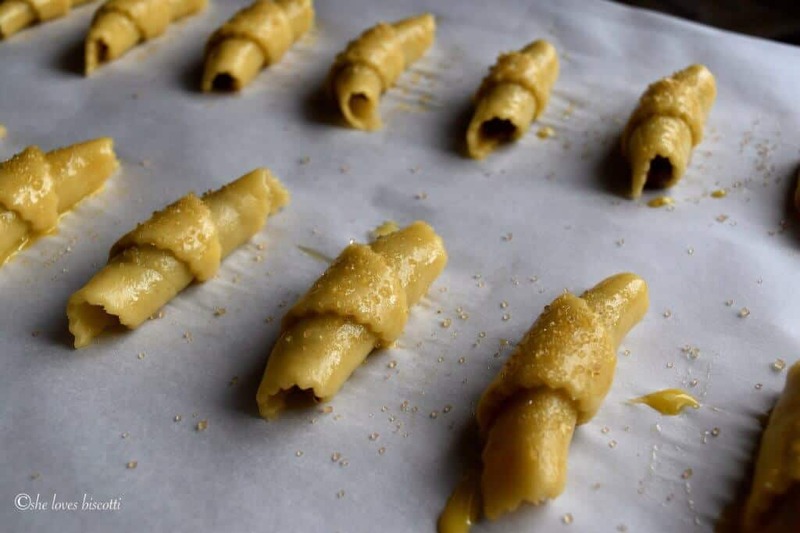 Place about 3/4 of a teaspoon of homemade chocolate hazelnut filling (or Nutella) at the wide ends and begin to roll each section into a crescent shape. Repeat with another ball of dough. Brush tops of cookies with egg wash.
Bake for 10-12 minutes or until bottoms are lightly browned. There is an idle time of at least 12 hours. Disclosure: I have been provided with a Hamilton Beach NutriFresh™ vacuum sealer for this review. I have not received any monetary compensation for this review. Views and opinions expressed in this post are entirely my own. These look so delicious! You have made them so well.. very professional indeed. That chocolate hazelnut filling looks incredible. Brava! Ohhh these sound delicious! I’ve never had crescent cookies before! And you have a vaccum sealer at home? I’m so JEALOUS! These cookies look outrageously good! I make a similar type of this crescent cookie but have never tried a yeast based dough…will have to remedy that. Great recipe Maria???? I loved your homemade and healthy chocolate hazelnut and was so happy to see it used in these beautiful cookies! They are absolutely delicious! 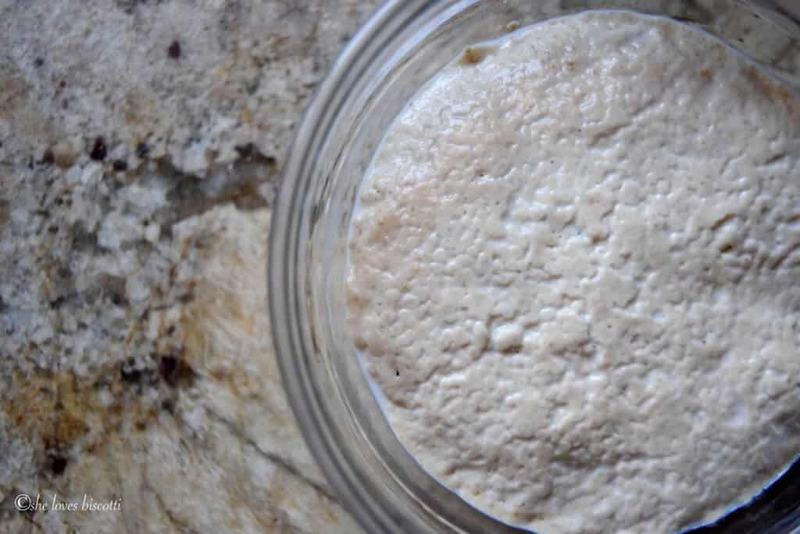 Working with yeast is so rewarding and satisfying. I like how easy is to use the vacuum sealer, such a wonderful gadget to have in the kitchen.